Kinder Pram is a course that gets kids into sailing early. 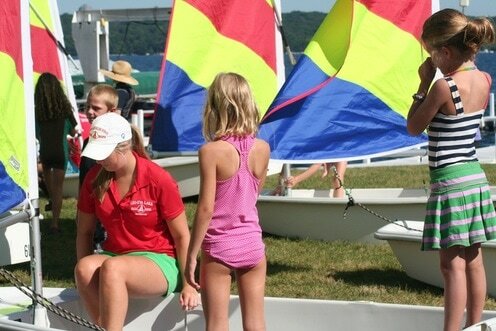 Kids aged 4-6 do fun little activities which teach them sailing basics such as boat handling, knots, and boat safety. Sailing: Launching, sailing out while steering up down, “3t’s: tack-tiller-toward sail”, landing. Seamanship: 8-knot lesson, rope coil races, rolling sails, boat part label game, make-a-boat. Teamwork: Bailer races, boat scavenger hunt, human knot, happy ball, life jacket race, water relay. One parent or guardian per child to be actively involved with supervising and assisting the GLSS staff with the program. Student and guardian must each bring properly-fitting Coast Guard approved life jacket. A late afternoon of sailing and fun. Kinder Pram is an easy introduction to sailing at our lakefront. 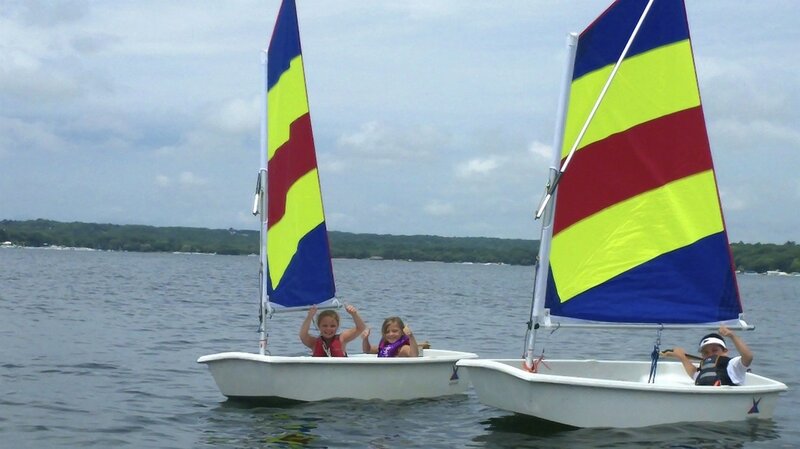 Kids enjoy entertaining activities targeting rudimentary sailing skills both on and off the water along with a parent or guardian. This unique program will be a safe, interactive experience requiring one adult parent or guardian to accompany each student enrolled. ​Kids will join their guardian or GLSS instructor for a comfortable ride in our safe, simple Pram dinghies along our quiet lakefront. While ashore, groups will rotate through activity stations which include fun nautical lessons, games and crafts.